Meteora is an otherwordly sight! 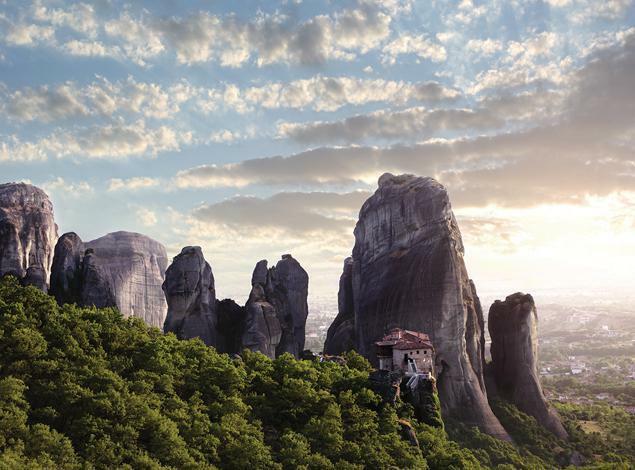 A highlight of your stay in Greece will be a visit to the Meteora Monasteries. Meteora is a geological miracle, which one should see for himself in order to believe. Nowadays, only six monasteries are well preserved and four of them are still inhabited. We shall visit 2 of these fabulous monasteries, built high upon the steep rocks. Each monastery owns a vast richness of frescoes and icons. Afterwards, we will make our lunch break in Kalambaka and then we return to the place of accommodation.